Promotional value expires 120 days after purchase. Amount paid never expires. Appointment required. Limit 1 per person, may buy 1 additional as gift(s). May be repurchased every 120 days. Valid only for option purchased. Not valid for clients active within the past 6 month(s). All goods or services must be used by the same person. Merchant’s standard cancellation policy applies (any fees not to exceed voucher price). Merchant is solely responsible to purchasers for the care and quality of the advertised goods and services. Himalayan Meditation Centre promotes the Ancient tradition of meditation, which leads to wisdom and spiritual wellness. The passionate staff offers a variety of services, including traditional Tibetan treatments, well-being consultations, psychic readings, or reiki healing. 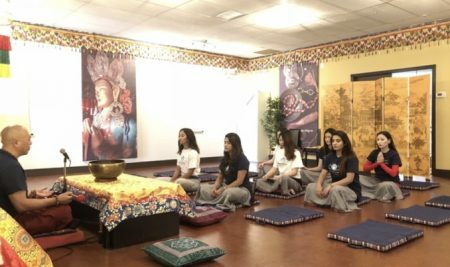 Himalayan Meditation Centre also offers a wide range of classes, including meditation and chanting lessons, which are suitable for individuals of any spiritual background or way of life.